Perfect to display team pride in office, dorm, or as party decorations! Spot Clean Only. Do not iron. 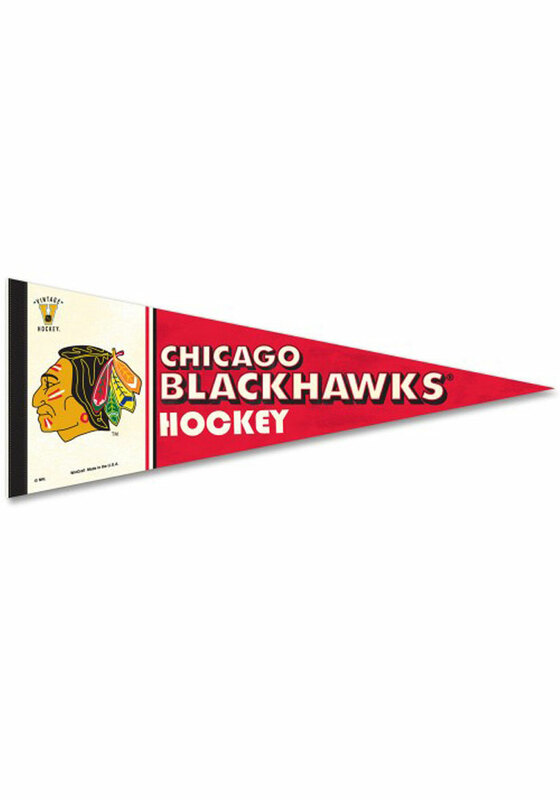 Brighten up your Blackhawks decor with this Chicago Blackhawks Pennant. This Pennant features a team design. Go Blackhawks!